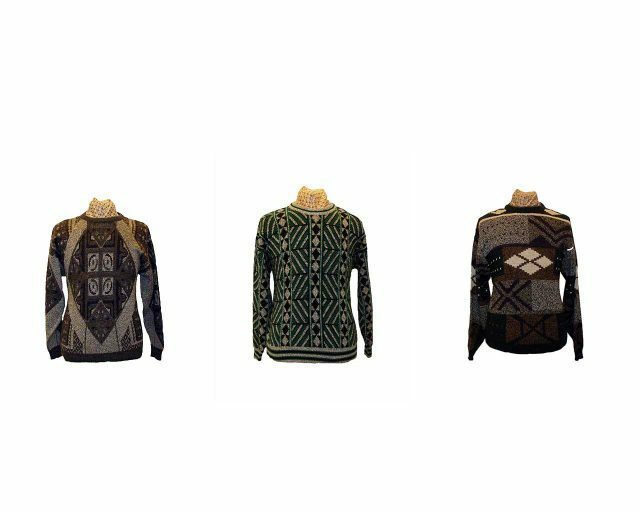 Browse our selection of vintage Cosby sweaters in comfort.Take a look at the selection of crazy retro patterns and prints available in our online store and in the 80s section at our London shop. Not for the faint of heart, these infamous sweaters, eponymously named after the American comedy actor Bill Cosby, will help you make a bold fashion statement and are an essential addition as an 80s wardrobe staple. Whether it’s textured collages inspired by Koos Van Den Akker or juxtaposed geometric multicolored prints, with vintage Cosby sweaters you’ll always be comfortably conspicuous and never passé with this classic retro staple. Retro and contemporary at the same time, these sweaters are an enduring classic that deserves a place in your wardrobe. Browse our selection of Men’s and Women’s retro Cosby 80s Mens sweaters today.